As the Divya Prabandham is recognized to be a body of knowledge delivered by the Azhwars, it leads us to the next issue of understanding the relationship of Swami Ramanuja with Divya Prabandham. An individual’s relationship with a system of knowledge can be viewed from various perspectives. The person may choose to study the subject as a student. The person could also advance further and become a scholar or acharya who is capable of enlightening others on the subject. The relationship of a person as a student and acharya of a subject proves the association of the person with the subject. As we are in the initial stages of the discourse, this level of proof should satisfy the requirements of those who are sceptical of this work and enthuse them to read further. 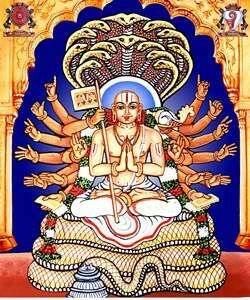 The events explaining Ramanuja as a student of Divya Prabandham can be found in the Guruparampara texts. 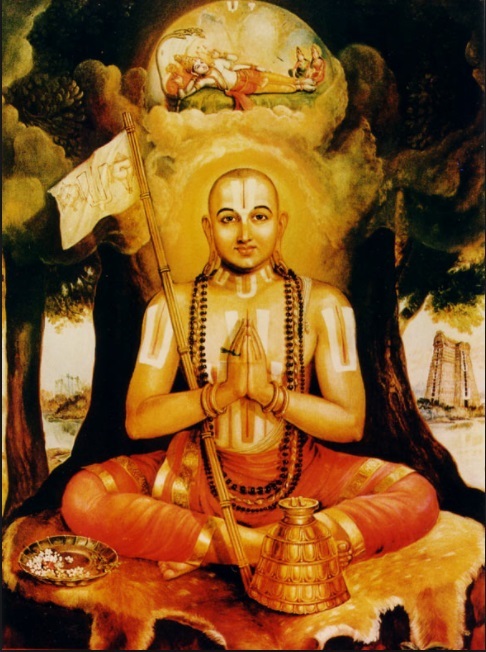 The Guruparampara Saram says that Swami Ramanuja learned the Thiruvoymozhi from Thirumalaiyandan. எம்பெருமானார் திருமாலையாண்டான் ஸ்ரீபாதத்திலே திருவாய்மொழிக்கு அர்த்தம் கேட்டருளினார். 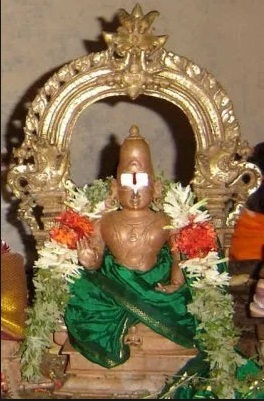 The Ramanuja Nutrandadi also mentions in several places that Swami Ramanuja learned the prabandhams of Azhwars. One can peruse the accounts of history and hymns in relation to Swami Ramanuja in Srivaishnava parlance to gain an idea of Swami as a student of Divya Prabandham. It can also be known that this was not a superficial study or a study based on one’s independent interests, but a study based on a systematic way of knowing the purport of the Divya Prabandham through the Acharya Parampara commencing from Swami Nathamuni. It is factual to say that the Acharya Parampara, as we know today, exists solely because of the Divya Prabandham, and that the study of Divya Prabandham is an integral part of education and instruction in this lineage. Therefore, it should come as little surprise to know that Swami Ramanuja was an ardent student of Divya Prabandham. The Divya Prabandham of Azhwars is traditionally recited with some hymns of invocation that are not part of the prabandhams of the Azhwars. They are known by the name of “thaniyan”. (i) It explains the significance of the prabandham. (ii) It explains the significance of the Azhwar who gave us the prabandham. (iii) It praises the Azhwar, the place of birth of the Azhwar and any of specialty of the Azhwar. (iv) It explains the message of the prabandham in concise form. The above mentioned purposes of the thaniyan are obvious. It is easy to recognize the thaniyans as the concise poetic form of the understanding and the message of the acharyas who were well versed in them. However, we find some interesting thaniyans that do not serve such obvious purposes. Of interest here are the thaniyans of Thiruvaimozhi and Periya Thirumozhi. Thiruvaimozhi has one hymn in Sanskrit and five hymns in Tamizh for its thaniyans. Two of these thaniyans of Thiruvaimozhi, one by Swami Ananthazhvan and one by Swami Parasara Bhattar – both acharyas younger contemporaries of Swami Ramanuja – draw our attention. 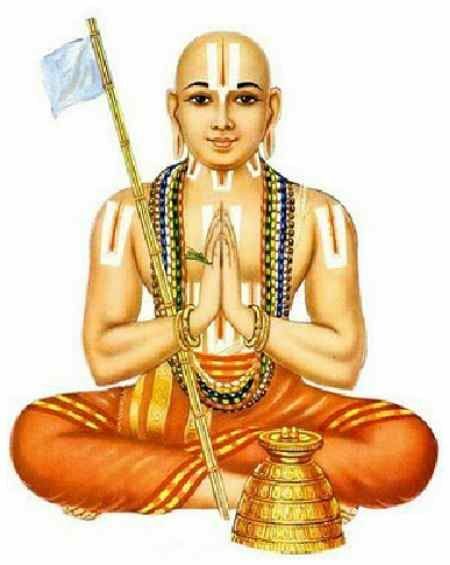 The thaniyan says that I worship the lotus feet of Swami Ramanuja in order to obtain the mind which can firmly grasp and behold the Dravida Veda of Swami Nammazhwar. The thaniyan says that Swami Nammazhwar gave birth (as the first mother) to the thousand hymns of Thiruvaimozhi. 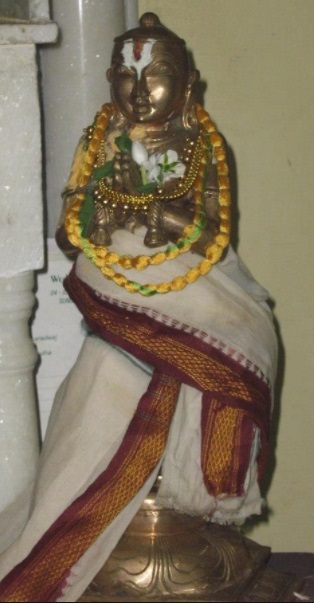 This child of Thiruvaimozhi was nurtured and made to flourish by the beneficent foster mother, Swami Ramanuja. எங்கள் கதியே இராமானுச முனியே ! சங்கை கெடுத்தாண்ட தவராசா ! பொங்குபுகழ் மங்கையர்கோனீந்த மறையாயிரமனைத்தும், தங்குமனம் நீயெனக்குத் தா! 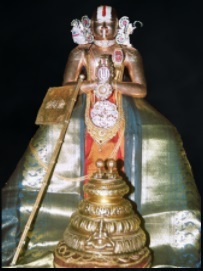 The thaniyan appeals to Swami Ramanuja to bless one with the mind that would faithfully bear the Periya Thirumozhi of Thirumangai Azhwar. The significant part of these thaniyans is the mention of Swami Ramanuja. This is strange because one could have easily petitioned the Azhwar of the prabandham directly to grant them the mind that would treasure the message of the prabandham. Or, they could have prayed directly to Srimannarayana. Or, they could have appealed to her Grace, Sri. Or, they might have found it appropriate to address Swami Nathamuni who retrieved the Divya Prabadham. Instead,they chose to petition Swami Ramanuja. The answer to this puzzle comes out of the thaniyan composed by Bhattar. Though it seems to be speaking about Thiruvaimozhi in particular, it supplies the general answer that would work for all prabandhams. The answer is this : though the Divya Prabandham was revealed by Azhwar, the task of nurturing those prabandhams by making them useful to people of all walks of life was done by Swami Ramanuja. A significant contribution of Swami Ramanuja is the arrangement made to treasure the meaning of the Divya Prabandham through the commentaries of his disciples. The aithihyams and nirvahams concerning Swami Ramanuja are available to be read in the commentaries of the Divya Prabandhams. Taking all this into consideration Swami Manavala Mamunigal sings benediction to Swami Ramanuja who nurtured the Dravida Veda, in Arthi Prabandham. மாறனுரை செய்த தமிழ்மறை வளர்த்தோன் வாழியே! The position of Swami Ramanuja as the acharya of Divya Prabandham is thus known. How did Swami Ramanuja make himself known during his time through his conduct? Was he known as a great scholar or a master Vedanti? Swami Ramanuja conducted himself in such a way that the entire world would know that the Dravida Veda revealed by Swami Nammazhwar was his wealth, his father, his mother, his preceptor and his Lord. The devotion of Swami Ramanuja to Dravida Veda cannot be stated better. This entry was posted in Dramidopanishat on January 30, 2018 by brd01.